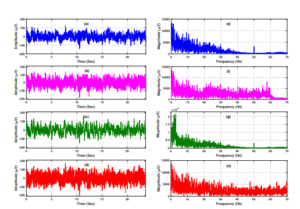 Researchers from the University of British Columbia and Microsoft developed a deep learning algorithm to automatically detect epileptic seizures in realistic situations with 90% accuracy. Epilepsy is a chronic neurological disorder of the brain that affects approximately 70 million people of all ages worldwide, making it the second most common neurological disease after migraines. 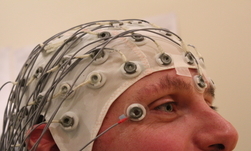 Detecting seizures is key to improving the quality of life of epileptic patients. Unfortunately, the visual inspection of Electroencephalogram (EEG)-based seizure detection systems, encounter many challenges in real-life situations. Using NVIDIA Tesla GPUs and the cuDNN-accelerated TensorFlow deep learning framework, the team trained their recurrent neural networks on a dataset of 500 EEG signals, each of them with a 23.6 seconds duration, from Bonn University. The dataset consisted of of 25 epileptic patients taken both during active seizures and seizure free intervals. Accurately identifying whether or not a patient experiences an active seizure can help patients, caregivers, and healthcare providers administer the appropriate medication on time. “Our approach…maintains high detection accuracies at different noise levels, making it more relevant to clinical applications. Other state-of-the-art methods studied in this work, are not as robust to these artifacts and noise levels,” the researchers said.